Alaska Railroad For over 90 years, the Alaska Railroad has connected over 500 miles of Southcentral and Interior Alaska, serving Anchorage, Talkeetna, Denali National Park, Fairbanks, Spencer Glacier, Seward and more. 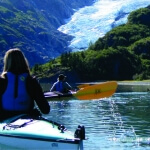 Enjoy excellent service and a relaxing rail journey as you travel between many of Alaska’s most popular destinations. The Alaska Railroad offers two levels of passenger service, both of which include knowledgeable Alaskan tour guides sharing the stories behind the sights. 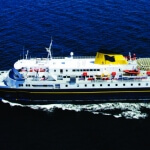 Adventure Class offers comfortable seating, large picture windows and available dining. GoldStar Service features double-deck glass dome cars, an upper-level outdoor viewing platform, included meals and two complimentary adult beverages. Additionally, the Railroad offers unique day trips and customized multi-day vacation packages, combining rail travel with memorable excursions and fine accommodations. 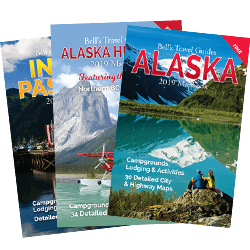 Plan a rail vacation to visit two of Alaska’s premier national parks; Denali National Park to the north, and Kenai Fjords National Park, located just beyond the Railroad’s southern terminus in the Port of Seward. Denali is famous for its grizzlies, moose, caribou, and North America’s tallest mountain, while Kenai Fjords National Park is home to massive tidewater glaciers and abundant marine wildlife. Open year round, the Alaska Railroad operates daily service mid-May to mid-September. During the winter, trains run on weekends between Anchorage and Fairbanks as well as select mid-week departures from December to March. No matter the season, the Railroad’s reservation experts are able to help plan a custom rail journey. Visit www.alaskarailroad.com or call 800-544-0552.